Recently I re-visited The University of Michigan in Ann Arbor where I once was a PhD-student with the late Bill Stapp, considered the founding father of Environmental Education, as my mentor. During those years (1987-1992) we worked in inner-city Detroit schools to help make education more relevant and meaningful to students growing up under harsh conditions. Many of the neighborhoods surrounding the two schools that we worked with have changed in some ways (the crack houses have been demolished mostly, some abandoned lots have been converted into what is referred to as “Detroit Agriculture” and the kids we worked with have grown-up when gotten the chance or, more likely, have moved or passed away (the life expectancy of many of the youngsters in these ‘hoods’ was not all that high in the 1980-ties). Of course some things haven’t changed, for instance, there is still poverty and most education is probably still not all that relevant and meaningful (something that holds true for kids growing up in more affluent communities as well). Driving past 8 mile road reminded me of the time we spent with teachers and students in re-designing the curriculum to allow for the kids to link their education to the issues that mattered most to them and for the teachers to link those issues to the curriculum they were expected to teach. In the end we came up with “action research and community problem solving” (ARCPS) – a cyclical learning process consisting of problem identification and analysis, generating ideas for action and change, selecting and design concrete action plans, actual implementation and evaluation of those plans – with action and reflection throughout the process. As we talk about sustainability, transition towns, community greening, social learning, transformation and so on a lot these days, I realize that some of the work done back then is very relevant today – there’s one difference though: much of what was considered radical and out of the main stream back then is getting much more traction today which is why I am offering a key paper from that time here: Action Research & Community Problem Solving (full reference: Wals, A.E.J. (1994). 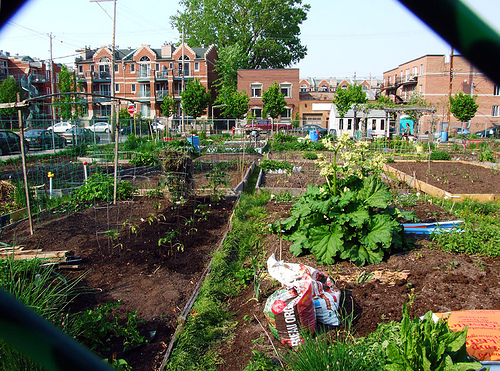 Action Research and Community Problem Solving: environmental education in an inner-city. Educational Action Research, 2 (2), 163-183) and along with what in some ways is a modern version of ARCPS: The Acoustics of Social Learning. The latter publication is more recent (an available as open access) and center’s more on community-based and multi-stakeholder social learning in the context of sustainability but has similar premises and a similar cyclical reflexive learning process. This publication can be found here: Wals, A.E.J., van der Hoeven, N. & Blanken, H. (2009). The Acoustics of Social Learning: Designing learning processes that contribute to a more sustainable world. Wageningen/Utrecht: Wageningen Academic Publishers/SenterNovem. What you can’t measure still exists! Human ideas, experiences, and intentions are not objective things like molecules and atoms. Nevertheless, like their colleagues in the natural sciences, many educational researchers attempt to use objective methods that allow for control, predictability and the ability to generalize. The scientific method has long been claimed to be a value-free tool of inquiry, allowing many social scientists to create dichotomies between themselves, their methods and their research. This separation is a dangerous one, for it gives scientists a false authority of truth. Knowledge and human interests are interwoven, as reflected in the choice of methods and the ends to which such methods are put. The idea that there is a world that can be totally analyzed, predicted, and controlled — the world of positivistic science — is frightening. Unless we reflect on the ends to be served by science, we risk that prediction and control and their associated methods might exclude other ends such as: improved understanding among people, release of human potential and formation of a sustainable relationship with our surroundings. Many educators and researchers of education have tried to structure educational content matter and the way it is presented to students using hierarchical levels of universal goals and objectives – even environmental educators and sustainability educators tend to do this. Outside experts determine what students need in terms of knowledge, attitudes, values and skills; design a curriculum that consists of measurable/quantifiable goals and objectives; implement the program; test to what extent the goals and objectives are realized; modify the program and reinstruct the teacher. In the worst case scenario, the students, sometimes referred to nowadays as ‘clients’ or, even worse, “throughput,” become a database, the teacher an implementation instrument who is constantly held accountable using checklists, indicators and associated reporting mechanisms. What is supposed to be a culture of learning becomes a culture of accountability… Only the researcher, who gets an article published in a peer-reviewed scientific journal, stands to benefit. This widely used positivistic approach to education research and development often results in the ignoring of students’ ideas, experiences and mini-theories, as well as the teacher’s own classroom experiences and expertise. Teachers and students are not viewed as capable to determine the content of their own education, to set their own goals and objectives that are compatible with the community they live in and, finally, are not allowed to evaluate their own teaching and learning. Alienation between researchers and school community (but also between school managers and their own teaching staff) and disempowerment of teachers and students who have been denied a role in shaping and evaluating their own education, often is the result. The emphasis in research is no longer on finding causality, generating generalizable results and predicting the future with statistical accuracy. Instead the emphasis in on documenting and describing human experience and intentions, using diagnostic instruments, one’s own observations and those of teachers and students; interpreting these with all involved participants; relating the results with the foundations, goals and objectives of education (for human development); and discussing ways to adjust the curriculum and classroom practice as a result of newly obtained insights. The main objective is not to find out the kinds of changes that occur in the learner as a result of an educational endeavor, but to find out whether the design of such an endeavor, the way it was guided/facilitated and supported, and the institutional setting in which education is embedded, provided for such change in the first place! A researcher has the moral obligation to work for and with the participants in his/her study. EE research should have a pedagogical end in the sense that the participants somehow benefit from the research. Thus, research should not just be an attempt to learn about people, but to come to know with them the reality which challenges them. I have only scratched the surface in introducing an alternative paradigm for doing EE research. Before uncritically accepting the dominant positivistic paradigm, we have to consider alternatives. It is my belief that it is the same world of positivism that allowed for environmental deterioration at its current pace and scope in the first place! Note: an earlier version of this post was first published when I was a student at the University of Michigan in Environmental Communicator , November/December, 1990:12) – some minor changes have been made.